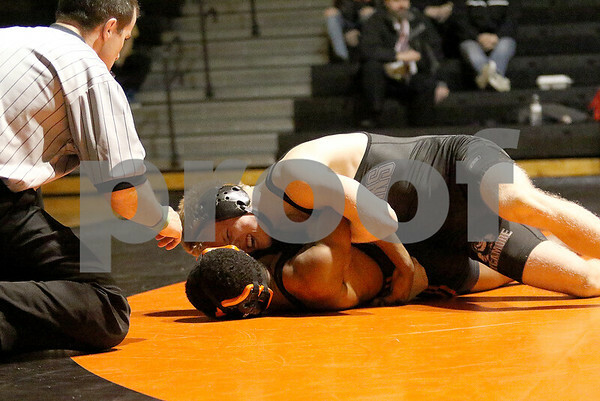 Sycamore's Brian Johnston wrestles DeKalb's Izaiah Webb at 138 lb. during the meet at DeKalb on Thursday, Jan. 14, 2016. Johnston beat Webb in a 6-5 decision.